Fishing, what could be more relaxing than having a nice quiet afternoon on the lake waiting to tell the next fish tale? This was my impression of fishing before kids. Now the thought of bringing a 3 year old and 5 year old fishing and waiting hours before a fish strikes or not at all makes me HATE fishing! We would love to watch our kids reel in their first fish and take pictures but what about those long hours in between? My children BEG us to take them fishing! They pretend everything is a fishing pole and tie shoelaces to toys to "catch" fish. We have discovered a couple of ways to avoid the long hours of complaining that the fish aren't biting. The first is a wonderful kids fishing pond at the Santa Ana River Lakes off Tustin Blvd/91 freeway. This is what we call the "Catching Pond". Fish are guaranteed to be caught. You don't even have to have bait, rod, or a license! For a small fee you can rent a rod and bait is provided. During warm months, it is stocked with good sized catfish and in the cooler months, rainbow trout. There is a staff there that will assist your little anglers(and you too) in catching their fish. There is no catch and release but that is how they pay their bills. For every pound of fish you catch, it will cost you $6.50. After you are done fishing, usually 3-4 fish for us, you can have your fish cleaned and filleted for tips ready for you to bring them home to cook up for dinner. Another great thing about this pond is that is surrounded literally by a petting zoo. There are chicken's, geese, peacocks, goats, rabbits and even Henry the pig. There is also a large desert tortoise that is friendly and comes over for a pet. If after your fishing here your kids are bugging you even more to fish there are other, cheaper options. 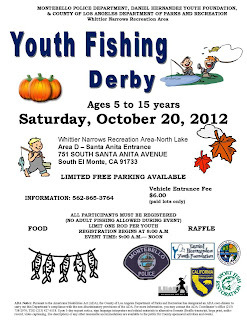 In California, we have good fishing year round so there are what are called Fishing Derby's for Kids and most of them are free. Our favorite Fishing Derby's are through Dan Hernandez. He is an active supporter of putting on the Derby's so that kids who would not have an opportunity to fish, would be provided with a stocked lake with rods, bait and lunch. There are often raffles that the kids can win also. In my son's first Derby, he caught his first 2 catfish and was only 3 years old! I hope this helps you have a couple idea's for bringing your kids of all ages into the world of fishing! 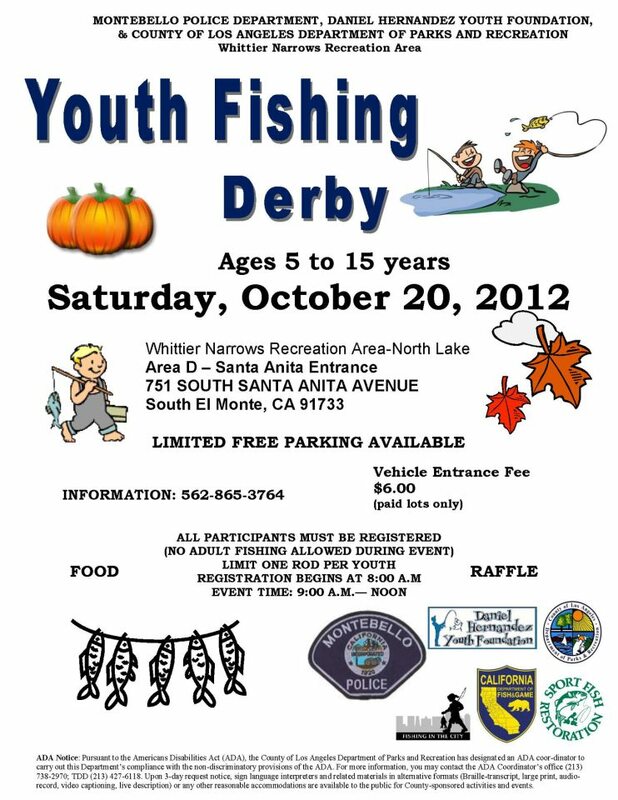 I hope to see you at the next Fishing Derby, we will be there! Thx for sharing this tip!